Nestled in a suite along a bustling road in Gloucester County sits Washington Township Dental Associates, a multi-specialty dental practice with more than 45 years of experience. Boasting 11 dentists, including two that specialize in pediatrics, the practice provides services in restorations, cosmetics, periodontics, endodontics and much more. It may be a large office, but they are one big, happy family. From a professional perspective, pediatric dentist Dr. Mary-Kay Annuzzi says it’s nice to work with such a large team of professionals. “You have people to bounce ideas off of,” says Annuzzi, a mother of three from Franklinville who’s been with the practice since 2004. And from a patient perspective, it’s nice too, she adds, because kids can come in at the same time as adults. Annuzzi treats children as young as 1 and doesn’t have the horror stories we all remember as kids going to the dentist. When parents bring their children in for a visit, the doctors at Washington Township Dental Associates are sure to discuss important elements of proper hygiene to get good dental health started early. “The more preventive things they can do, the better off they are,” she says. Annuzzi says she talks to parents about proper diets, what kids should and shouldn’t drink, and how often they should clean their teeth. For example, though it might seem like a great idea, toddlers’ sippy cups filled with juice are not good all the time. Drinking plenty of water is key, too, as well as flossing daily, she says. “We want [parents] to come early to talk about these things,” Annuzzi says. Her pint-sized patients can enjoy the kid-themed waiting room with games and toys before they see their doctor. Dr. Annie Creato, another pediatric dentist at Washington Township Dental Associates, says she’s cared for patients as young as a few days old. Sometimes, babies are born with teeth and, often, those teeth must be removed because they aren’t strong enough. Creato, who resides in Philadelphia with her new baby and husband and has been with the practice for almost five years, says it is rewarding working with the younger patients. “Kids will let you know when they are happy about something and that’s really nice,” she says. Dr. Elizabeth Balis, a township resident with two children, has been with Washington Township Dental Associates for her entire 15-year career and believes the opportunity to work with her hands is a unique gift. A patient of Balis’ recently admitted she’s never been confident enough to smile before. After Balis worked on her teeth, she could not stop smiling. “That, to me, is like an art. It’s working with what they had to make it better,” Balis says. The art continues, Balis says, since today more patients are asking for cosmetic procedures to improve their smiles. 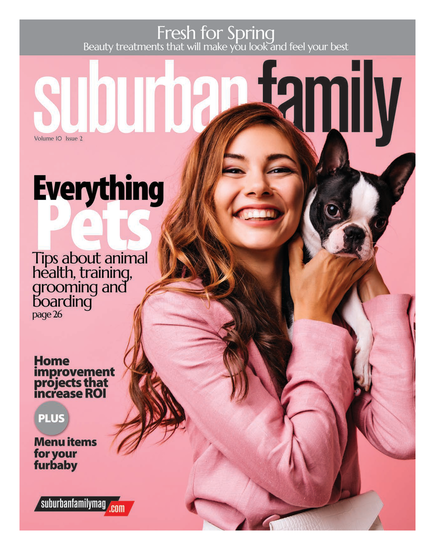 Advances in crowns and veneers have been changing in the industry, she explains, and Washington Township Dental Associates has stayed up to date with the latest trends. Bleaching is a quick way to improve the look of your teeth, Balis says, and she has suggested that option to several patients who are doing a makeover on their teeth. Several before-and-after photos on the business’ website can attest to the dramatic results. “With dentistry, you really can help people and make them feel better about themselves,” Balis says. Washington Township Dental Associates is located at Atrium One, Suite A, 474 Hurffville-Cross Keys Road in Washington Township. Office hours are: 7:30 a.m. to 7 p.m. on Monday and Tuesday; 7:30 a.m. to 6 p.m. on Wednesday and Thursday; 7 a.m. to 1:30 p.m. on Friday; 8 a.m. to noon on Saturday. They are closed Sundays. For more information, visit WashingtonTownshipDental.com or call (856) 582-1000.